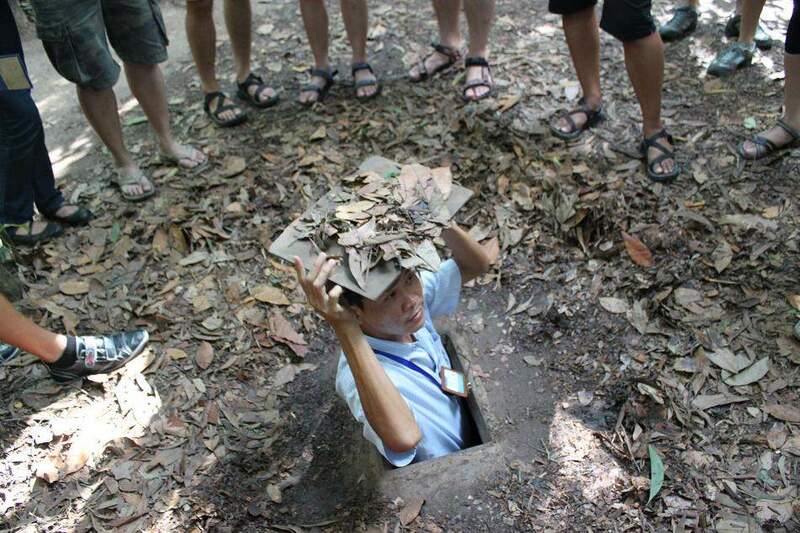 Underground Guerrilla 101 at Cu Chi Tunnels | What an Amazing World! 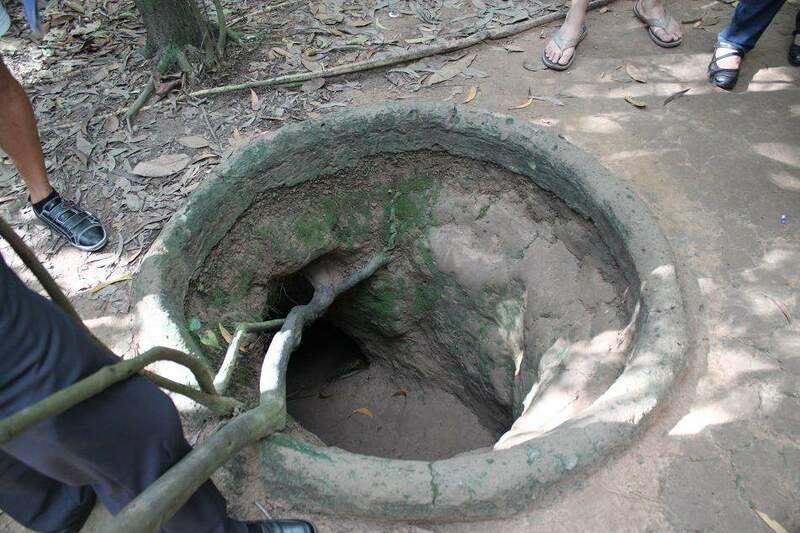 Cu Chi tunnels are part of underground network of tunnels which were used by Viet Cong guerrillas to fight against the US military and South Vietnamese government during the Vietnam War (in Vietnam they call it the American War. It makes sense, doesn’t it?). To get to the place, you can book a full-day trip with a travel agent which usually covers a trip to Cu Chi Tunnels and Cao Dai Temple (more on the temple later in my upcoming post), or if you don’t have that much time, you can just take a half-day trip instead. I myself booked the trip through the hotel where I stayed at. This is definitely the place that you have to go if you want to find out more about the way Viet Cong guerillas lived, cooked meals (and disguise the smoke to prevent the enemies from noticing their location), traveled from one place to others without being detected, etc. You can also get the chance to walk inside the tunnels yourself (which I did). But I must warn you, they are very narrow, dark, hot and humid. The only way to go through the tunnel is by walking while squating (might not be a pleasant experience for any claustrophobic person). Until now I am still amazed with the way those people managed to survive the war by living underground without decent foods (their main staple during the war was only tapioca) for months, even years. Holy cow, I don’t think I could handle being in there! I’d want to take a picture of someone else venturing inside, but I’m far too claustrophobic to be able to handle that well! OTOH, if my life was at stake, I’m sure I’d be able to push the claustrophobia aside and just deal. Better to be alive in an enclosed space than dead out in the open. Looking forward to the temple post! 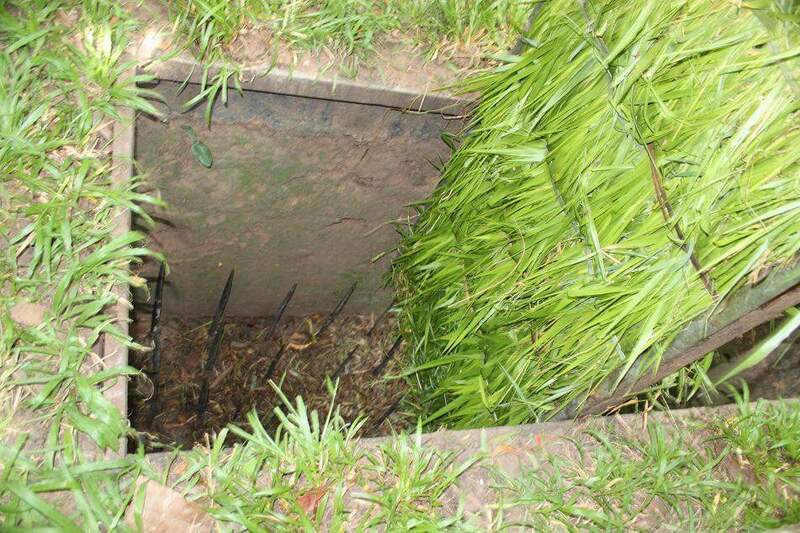 It’s crazy how the Viet Cong managed to live underground for years. I couldn’t even imagine how they traveled kilometers away (the network of tunnels go hundreds of kilometers away) by walking while squatting. Probably there’s no claustrophobic Viet Cong member at all (or even if there was, he/she must be able to do that because it’s his/her life which was at stake). Thanks! Pingback: War Remnants Museum: Remembering The Atrocities of War « What an Amazing World! The American War makes quite a bit more sense. It sounds like a terrifying and soul-devouring way to live. I don’t think I could go into the tunnels unless it was a matter of survival. Certainly not as a tourist. Actually by just being there and looking at the small holes to the tunnels gives us better perspective of how it felt for those people during the war. Let alone walking (while squatting) inside the tunnel. I do believe it’s important to, at the minimum, look these things in the face. To accept the truth of what people went through. I suppose actually going through the tunnels, for however short a time, would make a pretty big impact, much more so than just looking at them. True! But some people in the same tour group with me decided not to go inside the tunnels (one of them is a muscle guy, who I believe made the right decision for not going through it, or he’ll get stuck. lol). There are two pairs of good looking feet in that first picture! Brings back memories. Went here about two years ago. Got a cycle trip from Saigon and would highly recommend it!!! Wow, a cycle trip all the way from Saigon to the tunnels sounds so much fun! You must have gotten the chance to interact more with the locals. Well, we got a drive out of the city first but ya we got to cycle local roads. Ah I see. Btw, it seems like you had a really nice lunch after cycling around the tunnels — Vietnamese dishes are some of the freshest on the planet that I’ve ever tasted.